Whether you’re a keen golfer or a keen beginner, we’re located close to some of the most scenic and challenging golf courses which will help you to up your game. We can drop you off at Bowood for a round of golf in picturesque surroundings. Bowood is a Championship golf course which was recently selected as one of Golf Monthly’s Top 50 Stay and Play resorts in the UK. The course is suitable for golfers of all abilities, and blends beautifully with the surrounding woodland and rolling countryside. Take in the mesmerising views of the Wiltshire downs whilst working on your swing. Set close to the rugged Cornish coastline in the hills above Polzeath beach, this 18-hole course offers spectacular views of the sea and stunning countryside. Junior and adult golf clinics are available and the course itself is perfect for golfers of all standards. 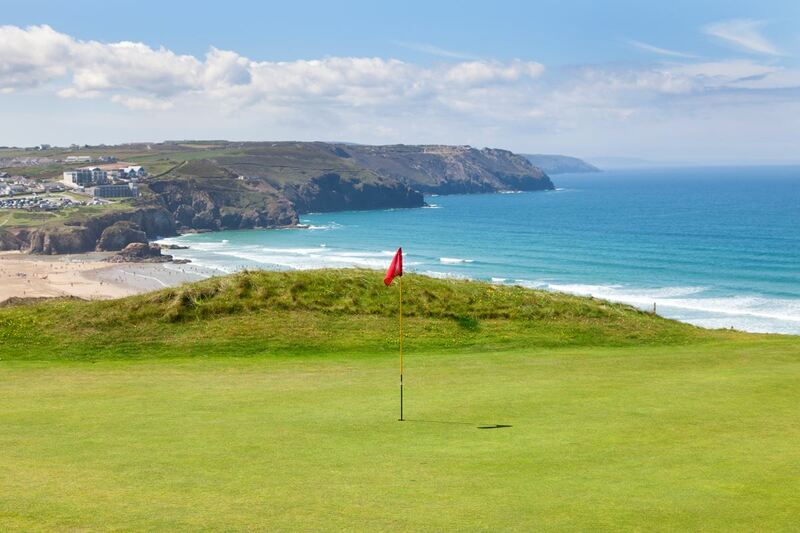 Develop your golfing skills whilst enjoying some of the most breath-taking views of North Cornwall from each fairway. The new driving range is now open and is located just to the right of the first tee. This charming golf course has been ranked 99th in the world and 39th in Great Britain by Golf World magazine. You can enjoy some amazing views of the sea and estuary whilst improving your game. Though not a particularly long course, no two holes are the same and each one must be completed with steady nerves and precision. This course is a must for locals and visitors alike, for any golfer worth their salt. If you’re looking for a level course which is open all year round, this nine hole eighteen tee course and driving range is the one for you. Situated on the edge of St Kew Highway, this 64 par course is guarded by 22 bunkers and water but features no hills, ideal for a leisurely round of golf. Offering fantastic greens, 10 par 4 holes and long fairways, you can really put your skills to test here. Trevose golf course in Padstow features three different courses: the Championship Course, the Headland Course and the Short Course. If you’re looking for a challenge, the Championship Course ranks as one of the best in the British Isles. The Headland Course is a nine hole alternative with an interesting design and fast greens, great for intermediate players. The Short Course is the perfect place to start for beginners, junior players and skilled golfers looking to improve their game. If you’re based in Padstow, Port Isaac or Wadebridge, Midas Taxis can take you and your fellow golfing enthusiasts to any of the courses above for very reasonable rates. We have plenty of space for your golf clubs too!